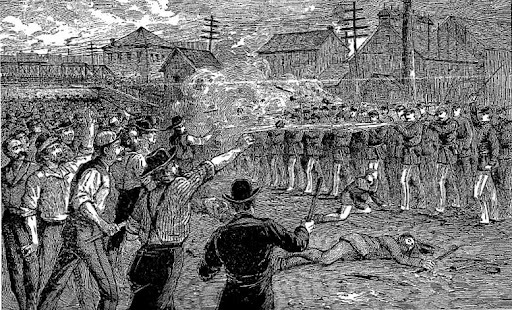 The nationwide railroad strike intensifies in Chicago, which is on the verge of a general strike. Workers battled police officers, federal troops, and state militia sent in to crush the strike in what would become known as the Battle of the Halsted Street Viaduct. At least 30 workers were killed and 100 wounded.